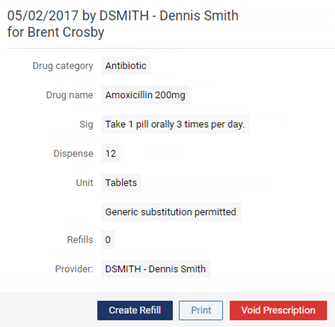 You can print or reprint a patient's prescription as needed. 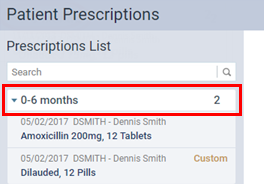 If you have just entered a new prescription or a refill, that prescription is already selected, so skip to step 3. In order for the DEA number to show up on a prescription the Controlled Substance check box must be selected in the corresponding prescription template. 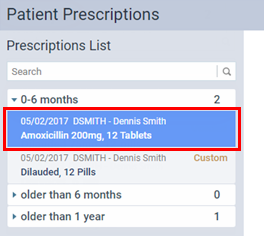 To print prescriptions, a user must have security rights to "Review patient prescriptions" in addition to "Print patient prescriptions."